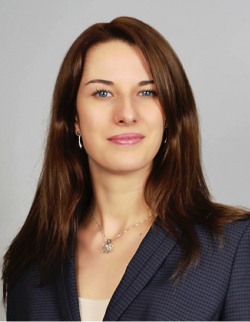 The University of Bristol has today announced that ‘rising star’ Monika Gierszewska will become the new director of its world-leading business incubator. She will take up the reins at the Bristol SETsquared Centre on 1 March, bringing with her a wealth of experience in the technology sector, supporting start-ups and driving innovation. Monika will work alongside Nick Sturge, Director of Engine Shed, to build on the success of the high-tech, high-growth business incubator, which is part of the national SETsquared collaboration between the universities of Bath, Bristol, Exeter, Southampton and Surrey. It was named the best university business incubator in the world last year. Bringing experience from the London fintech (financial technology) scene, as well as from her own start-ups, a degree in Business Innovation and a passion for building innovation ecosystems, Monika will be helping new high-tech businesses in Bristol to grow. She will meet SETsquared mentors and members – past and present – at a SETsquared Founders Forum today. Monika’s career includes setting up a student incubator at the University of Westminster; running an entrepreneurial community of 6,000 members; setting up two co-working spaces and a digital accelerator programme at Dreamstake; facilitating open innovation programmes between corporate companies, academics and start-ups; facilitating global innovation events at Fortune500 firm Cognizant; and managing corporate innovation delivery across EMEA at venture capital firm Ariadne Capital. Nick Sturge, who has been Director of the Bristol SETsquared Centre for the past 10 years, will now be focussing on the development of Engine Shed, a collaborative project between Bristol City Council, the University of Bristol and the West of England Local Enterprise Partnership based in Brunel’s original train station at Bristol Temple Meads.